The University of Arkansas (U of A, UARK, or UA) is a public land-grant, research university in Fayetteville, Arkansas. It is the flagship campus of the University of Arkansas System and the largest, best-known university in the state. Founded as Arkansas Industrial University in 1871, its present name was adopted in 1899 and classes were first held on January 22, 1872. It is noted for its strong architecture, agriculture (particularly animal science and poultry science), business, communication disorders, creative writing, history, law, and Middle Eastern studies programs. Enrollment for the fall semester of 2017 was 27,558. The university campus consists of 378 buildings spread across 512 acres (2.07 km2) of land in Fayetteville, Arkansas. Some well known architecture on campus includes Old Main, the first permanent academic building erected. Academic programs are in excess of 200. The ratio of students to faculty is approximately 19:1. The university also received a combined total of $103.2 million in research awards for the 2017 fiscal year. UA's athletic teams, the Arkansas Razorbacks, compete in NCAA Division I as members of the Southeastern Conference (SEC) with eight men's teams and eleven women's teams in thirteen sports. The University is known for its traditions, including Calling the Hogs at sports events, and Senior Walk, 3.5 miles (5.6 km) of campus sidewalk etched with the names of all UA graduates since 1871. The University of Arkansas has a strong Greek life tradition, including the founding chapter of the Chi Omega sorority, and the largest fraternity chapter in North America, Kappa Sigma. Old Main on the University of Arkansas campus. The University of Arkansas was founded in 1871 on the site of a hilltop farm that overlooked the Ozark Mountains, giving it the nickname "The Hill". The university was established under the Morrill Land-Grant Colleges Act of 1862. The university's founding also satisfied the provision in the Arkansas Constitution of 1868 that the General Assembly was to "establish and maintain a State University." Bids from state towns and counties determined the university's location. The citizens of Fayetteville and Washington County. pledged $130,000 toward securing the university, a sum that proved to be more than other offers. This was in response to the competition created by the Arkansas General Assembly's Organic Act of 1871, providing for the "location, organization and maintenance of the Arkansas Industrial University with a normal department [i.e., teacher education] therein." Classes started on January 22, 1872. Completed in 1875, Old Main, a two-towered brick building designed in the Second Empire style, was the primary instructional and administrative building. It is listed on the National Register of Historic Places. Its design was based on the plans for the main academic building at the University of Illinois, which has since been demolished. However, the clock and bell towers were switched at Arkansas. The northern taller tower is the bell tower, and the southern shorter tower is the clock tower. One legend for the tower switch is that the taller tower was put to the north as a reminder of the Union victory during the Civil War. A second legend is that the contractor accidentally swapped the tower drawings after having had too much to drink. Although the southern tower was designed with clock faces, it did not hold a working clock until October 2005. The bell tower has always had some type of chime, initially a bell that was rung on the hour by student volunteers. Electronic chimes were installed in 1959. In addition to the regular chimes of the clock, the university's Alma Mater plays at 5 pm every day. Old Main housed many of the earliest classes at the university, and has served as the offices of every college within the university during its history. Today, in addition to hosting classes, it contains the restored Giffels Auditorium and historic displays, as well as the administrative offices of the J. William Fulbright College of Arts and Sciences. The lawn at Old Main serves as an arboretum, with many of the trees native to the state of Arkansas found on the lawn. Sitting at the edge of the lawn is Spoofer's Stone, a place for couples to meet and pass notes. Students play soccer, cricket and touch football on the lawn's open green. Beginning with the class of 1876, the names of students at University of Arkansas are inscribed in "Senior Walk" and wind across campus for more than five miles (2.5 miles of sidewalk). The sidewalk is one of a kind nationally. More recently, the names of all the recipients of honorary degrees were also added, including such notables as J. Edgar Hoover, Queen Noor, President Bill Clinton, and former Secretary of State Hillary Clinton. One of the more unusual structures at Arkansas is the Chi Omega Greek Theatre, a gift to the school by the sorority's national headquarters. It marked the first time in the history of Greek letter social organizations that a national sorority had presented a memorial of its foundation to the institution where it was founded. Chi Omega was organized on April 5, 1895, at the University of Arkansas and is the mother (Psi) chapter of the national organization. The theater has been used for commencements, convocations, concerts, dramas and pep rallies. The largest crowd ever assembled there – upwards of 6,000, according to professor Walter J. Lemke – was for a concert by the Army Air Corps Band during World War II. From 1934 to 1991, the space under the stage was used for a rifle range by the Army ROTC. The University of Arkansas became the first major Southern public university to admit an African-American student without litigation when Silas Herbert Hunt of Texarkana, an African American veteran of World War II, was admitted to the university's School of Law in 1948. Roy Wilkins, administrator of the NAACP, wrote in 1950 that Arkansas was the "very first of the Southern states to accept the new trend without fighting a delaying action or attempting to... limit, if not nullify, bare compliance." Today the School of Law continues to receive national awards and recognition for its high degree of diversity. Vitamin E was co-discovered by UA Agricultural Chemistry Professor Barnett Sure (1920–51). Sure, along with fellow professor Marinus C. Kik (1927–67) made major advances in nutrition science during their long tenures at the University of Arkansas. Sure co-discovered vitamin E, and extended knowledge of how vitamin E, amino acids and B-vitamins function on reproduction and lactation. Kik developed the process for parboiling rice (a major agricultural crop in the state) to increase retention of vitamins and shorten cooking time. He documented benefits of adding fish and chicken to rice and grain diets to provide adequate protein for a growing world population. Sure and Kik were Agricultural Experiment Station scientists and professors in the UA Department of Agricultural Chemistry, which merged in 1964 with Home Economics, now the School of Human Environmental Sciences. In the 1920s, Loy Barton, an engineering graduate student at the University of Arkansas, set forth the principle of high-level Class B plate modulation for radio transmission and developed the technology that allowed small- and medium-size AM radio stations to flourish across the United States. Barnett later joined RCA and continued research on broadcast technology into the 1960s. The most widely implemented automated mail sorting equipment in the world–the Wide Area Bar Code Reader–was developed by the University of Arkansas College of Engineering. A $50,000 grant from the United States Postal Service (USPS) to Professors Dwight F. Mix and J.E. Bass in 1989 began the research and development effort. By 1999, more than 15,000 University of Arkansas bar code readers were located in every major USPS facility, increasing the efficiency of processing 20 billion pieces of mail a year at a savings of $200 million. This R&D effort has spawned four additional electronic systems to help the USPS "read the mail." During the 1980s, Professors Allen Hermann and Zhengzhi Sheng of the Department of Physics were in the vanguard of research in superconductivity: the phenomenon whereby Direct Current (DC) electricity, once started, can flow essentially forever. The Thallium-based material they discovered at Arkansas held the world's record for high temperature, 125K, for five years (1988–93) and drew international attention to the university. Their work led to numerous patents and a manufacturing agreement, as well as further advances in high-density electronics. University of Arkansas plant pathologists George Templeton, Roy Smith (USDA), David TeBeest and graduate student Jim Daniels conducted research in the early 1970s that led to COLLEGO, the first biological herbicide for weed control in a field crop. Other UA scientists and students worked on the project that resulted in EPA registration of COLLEGO by Upjohn in 1982 for control of northern jointvetch in rice and soybeans. The work provided a model used worldwide to develop biological herbicides. Leadership in this area helped the U of A obtain grants from the USDA and others for construction of the Rosen Center for Alternative Pest Control. Tuition did not rise for the 2009–10 academic year at the University of Arkansas, thanks in part to a $1 million donation from the Athletics Department. The average tuition nationally rose 6.6%. On April 16, 2010, the University of Arkansas Board of Trustees announced system-wide tuition increases of 3%–6.9% to combat decreases in state funding and increased enrollments. The University of Arkansas flagship campus experienced a 4.8% increase in tuition and fees for the 2010–11 academic year. The University of Arkansas offers more than 200 programs of study leading to bachelors, masters, doctoral, and law degrees. Academic programs are organized into numerous departments and schools based out of the ten primary colleges on the main campus. The university and several of its programs have been recognized on the national level. In recent years, the University of Arkansas has been recognized as a "Top-Tier National University", one of the "Best 371 Colleges", a "Top Southeastern College", and one of the "100 Best Public College Values". In addition to the university's recognitions, several colleges have received special distinctions. The Sam M. Walton College of Business is ranked as the 34th top public business school in the nation, and is ranked 59th amongst all public and private schools. It has also been recognized for its 24th ranked public Marketing program, 17th ranked public Corporate Strategy program, 15th ranked Accounting program in its division, 19th ranked public Supply Chain Management program, and 39th ranked public Masters in Business Administration program. The Fay Jones School of Architecture has been ranked as the 30th top undergraduate architecture program, and ranked with "notable distinction" into the list of America's World Class Schools of Architecture. The University of Arkansas School of Law has been ranked as a top 150 "Best Law School". The Creative Writing program in the J. William Fulbright College of Arts and Sciences has been ranked as the 18th best program in the nation. Bell Engineering Center contains the College of Engineering. University of Arkansas School of Law. Vol Walker Hall contains the School of Architecture. Altogether there are thirteen branches and six other units in the University of Arkansas System, including the University of Arkansas for Medical Sciences in Little Rock; four-year campuses in Fayetteville, Fort Smith, Little Rock, Monticello, and Pine Bluff; and two-year community or technical college campuses in Batesville, De Queen, Helena-West Helena, Hope, Mena, North Little Rock, and Morrilton. Units also under the UA System include the Clinton School of Public Service, the Criminal Justice Institute, the Arkansas Archeological Survey, the Division of Agriculture, the Winthrop Rockefeller Institute, and the Arkansas School for Mathematics, Sciences, and the Arts. The University of Arkansas was the home for the Southeastern Conference Academic Consortium, SECAC, where the 14 member schools of the Southeastern Conference pool resources to assist each other academically (the Consortium later relocated to Birmingham, Alabama, where the SEC has its headquarters). The University of Arkansas Agriculture Building is one example of Collegiate Gothic architecture on campus as part of the 1925 master plan. The University of Arkansas campus sweeps across hilltops on the western side of Fayetteville, Arkansas. Among the 378 buildings on the campus, 11 buildings have been added to the National Register of Historic Places individually, with most buildings in the historic core being named as contributing properties to the University of Arkansas Campus Historic District. Construction began on Old Main in 1873 and was completed by 1875 in the Second Empire architectural style. Built with local brick and sandstone, Old Main serves as the university's signature building. The building has remained on campus despite its recommended removal in the 1925 master plan from the architects of Jamieson and Spearl. This plan included destruction of all existing campus buildings and reconstruction in the Collegiate Gothic style. Several buildings were built in this style near the core of campus, including the Vol Walker Hall, Engineering Hall, Chemistry Building, Agriculture Building, and Home Economics Building. The plan ran out of funds and was never completed, leading to a somewhat haphazard arrangement of buildings after the 1930s. The university's oldest tradition is Senior Walk, which contains the names of graduates from each class of the university. Beginning at the front steps of Old Main and running along the sidewalks across campus, Senior Walk is adorned with more than 170,000 names of former students. This tradition is unique to American universities. The Fine Arts Center was designed by Fayetteville native Edward Durell Stone, who also designed Radio City Music Hall and the Museum of Modern Art in New York City and the John F. Kennedy Center for the Performing Arts in Washington, D.C. The buildings are indicative of Stone's idiosyncratic modern style which included patterns of ornament. Stone also designed a fraternity house, now used for academic purposes, and an apartment complex named Carlson Terrace on campus, which has since been demolished. The east end of the University of Arkansas campus is adjacent to Dickson Street, which is one of the premier entertainment districts in the state. To the south of the university is Fayetteville High School, which contains nationally recognized academic and athletics programs. One of the university's stated goals is "promote environmental sustainability", a goal being aggressively pursued through several construction improvement projects on campus in recent years. In 2008, Arkansas adopted a climate action plan, including the goals of reducing greenhouse gas emissions by 50% by 2020 and to become carbon-neutral by 2040. In 2008, the university signed a $22.9 million contract with Energy Systems Group to make energy improvements to 56 buildings, a program named "Razor's EDGE." The program was designed with a payback period of 13 years based upon projected electricity and water savings. The university also completed a study to install a cogeneration unit, which utilizes the heat given off by the natural gas power unit to heat the steam that is piped into campus buildings for climate control. This model replaces the current model ("business as usual" alternative), which uses a utility power plant that exhausts heat to the atmosphere and a separate boiler plant to generate the steam, while also increasing efficiency of both processes. The mascot for the University of Arkansas is the Razorback, a type of wild boar, and Arkansas teams are often referred to as the Hogs (shortened version of Razorbacks). The school competes in the Southeastern Conference (SEC) in Division I of the NCAA. No school in the SEC has won more total national championships than Arkansas; and only 4 schools nationwide (UCLA, Southern California, Stanford, and Oklahoma State) have won more national titles than the Razorbacks. From 1971 through 2007, Arkansas had completely separate men's and women's athletic departments. On January 1, 2008, the two departments merged, leaving fellow SEC school Tennessee as the only remaining NCAA Division I school with separate men's and women's athletic programs. The 2010 Arkansas Razorbacks football team played against the Alabama Crimson Tide in September, 2010. A football team began representing the University of Arkansas in 1894 and has since become one of the nation's top 25 programs in terms of all-time wins at the Football Bowl Subdivision level. The program was a charter member of the Southwest Conference (SWC) in 1915 and remained in that conference until departing for the Southeastern Conference in 1991, where Arkansas has remained. From 1915 to 1991, the Razorbacks won the SWC championship thirteen times and the 1964 National Championship, with great success coming under coaches Frank Broyles, Lou Holtz and Ken Hatfield. Today, the team plays its home games on campus at Donald W. Reynolds Razorback Stadium, or at War Memorial Stadium, located in Little Rock, making the University of Arkansas the only Division I program with two home stadia. Arkansas has also had recent success in the Bowl Championship Series (BCS) era, obtaining its first BCS berth in the 2011 Sugar Bowl and climbing as high as #3 in the BCS rankings in 2011 under Bobby Petrino. The team is currently coached by Chad Morris. The head coach of the men's basketball team is Mike Anderson, who was previously the head coach at Missouri. The Razorbacks play their home games in Bud Walton Arena on the University of Arkansas campus, one of the largest home arenas in college basketball. The team won the 1994 National Championship under coach Nolan Richardson, and has been to six Final Fours (1941, 1945, 1978, 1990, 1994, 1995). Arkansas basketball was the winningest program in the Southwest Conference, winning the conference 22 times, the most of any of the SWC schools. This conference dominance led the Hogs to be named the eighth-best program in history by Street and Smith's magazine. The Arkansas baseball team has had success both in the Southwest Conference, and in the Southeastern Conference. Between 1979 and 1989, the Diamond Hogs appeared in the College World Series four times, including a runner-up finish in 1979. Since joining the SEC, former Razorbacks player Dave van Horn has coached the team to the 2004, 2009, 2012, and 2015 College World Series. The team plays home games in Baum Stadium, recognized in 1998 by Baseball America magazine as being one of the top collegiate ballparks in America, and was #3 in 2009 according to Rivals.com. The stadium has recently undergone expansion, including 20 new skyboxes (34 in all) and seats behind the bullpen in left field, and further expansion to enclose the park with seating has been included in the Athletic Facilities Master Plan. On April 7, 2009, a stadium record 11,044 fans saw a 7–3 Razorbacks victory over the #1 Arizona State Sun Devils. A weekend series with LSU in 2007 drew 29,931, which is the SEC all-time attendance record for a three-game series. Men's Track and Field: The most successful program in NCAA history, the Arkansas men's track and field and cross country teams, led by head coach Chris Bucknam, sprints coach Doug Case and field coach Travis Geophert, are the most decorated teams in the athletics department. The program has won a total of 41 national titles (19 Indoor Championships, 11 Outdoor Championships, and 11 Cross Country Championships), the last being the 2013 Indoor Track and Field National Championship (the 2004 and 2005 Outdoor Championships were later vacated due to NCAA infractions). One of its most famous stars is graduate Alistair Cragg who competed for Ireland at the 2004 Summer Olympics in Greece. Other Olympians have included Michael Conley, Daniel Lincoln, Graham Hood, Wallace Spearmon and Matt Hemingway. The team has a home indoor track at the Randal Tyson Track Center and outdoor field at John McDonnell Field, which hosted the 2009 NCAA Outdoor Track Championships. Current head coach Chris Bucknam, assistant coaches Doug Case and Travis Geopfert have continued to embrace the legacy, winning the 2009, 2010, and 2012 SEC Indoor Track Championships, along with the 2009 and 2011 SEC Outdoor Championships and the 2010, 2011 and 2012 SEC Cross Country Championships. The men's track and field team won the triple crown in 2012. Women's Track and Field: The women's track and field team won its first national championship at the 2015 NCAA Indoor Championships, held in Fayetteville. Coached by Lance Harter, team members took first place in pole vault, the 3000-meter run and the distance-medley relay. Top competitors include Olympians Veronica Campbell-Brown and Deena Kastor, who set the American marathon record at the 2006 London Marathon. The women teams at the University of Arkansas are also referred to as Razorbacks. There are 11 varsity women sports: basketball, cross country, indoor and outdoor track, golf, gymnastics, soccer, softball, swimming & diving, tennis, and volleyball. Among the most successful women teams are volleyball with 11 SEC Western Division titles; cross country with more SEC championships than any member institution; basketball with 12 postseason appearances in 30 years, including the 1998 NCAA Final Four; track & field with six SEC titles and the first back-to-back women's SEC triple crowns; and gymnastics, nationally ranked since the start of the program in 2002 with five NCAA Women's Gymnastics Championship appearances. Sprinter Veronica Campbell was the first Razorback woman to win a gold medal in the Olympics, with marathoner Deena Kastor, an alumna, bringing home a bronze medal in 2004. A sample of class of 2001 graduates. The names of University of Arkansas students, starting with the first senior class of 1876, are carved into one of the concrete walkways or sidewalks on campus. This tradition was started by the 1905 graduating class of students, who drew their names into the walkway in front of Old Main, the oldest building on campus. Following classes added their names for more than a decade and then the university took over responsibility for adding new classes, as well as adding the names of students who graduated prior to 1905. Through most of the 20th century, the names were impressed in wet cement using brass letters. As the campus grew, and the graduating classes got bigger, the operation became unduly time-consuming. In 1986, the university's physical plant developed a special machine called the "Senior Sand Hog" to engrave the thousands of names required each year. Fans of the University of Arkansas have been "Calling the Hogs" since the 1920s. This tradition, which refers to the school's most popular cheer at sporting events, is said to have begun when a group of farmers attending a game began issuing hog calls to encourage a lagging Razorback football team. The encouragement worked and the attending crowd took notice of the farmers' calling. By the next game, a group of men had organized to cry "Wooo, Pig, Sooie". The call has since become the school's best-known cheer. The current version of the University of Arkansas Alma Mater was written in 1909 by Brodie Payne, an alumnus of the University of Arkansas. He submitted his song to an ongoing competition that was trying to find a song for the university and won first prize. Henry D. Tovey, who was the director of the Glee Club at that time, set the song to music. In 1931, the University College Song Association in New York reviewed a collection of 500 college tunes, and the University of Arkansas Alma Mater was judged to be one of the twenty-five best college songs of the United States. It is a student custom to point towards Old Main at the end of the verse when the words "we sing unto you" are sung. The words of the current version of the University of Arkansas Fight Song were written by Edwin Douglass while he was still a student as late as 1913. Music was added in 1918 and the fight song was adopted by the University of Arkansas in 1932. The fight song is usually played at all home Razorback sporting events. The school color of cardinal red (Pantone #201) was chosen as the official school color by a vote of the student body in 1895. The two color choices were cardinal and heliotrope. White was added as a complementary color at a later date. Tusk, the live mascot for the University of Arkansas. The University of Arkansas mascot has not always been the Razorbacks. From 1894, when the football program began, until 1910, the official mascot was the Cardinals to complement the school color of cardinal red. In 1909, according to school lore, the head football coach Hugo Bezdek gave a speech to a large group of students at the Fayetteville train station after returning from a victory over LSU in 1909 during an undefeated season. Coach Bezdek informed the crowd that his team had performed "like a wild band of Razorback hogs." Although students had begun referring to the team as the Razorbacks as early as 1907, Bezdek's statement popularized the use of Razorback for the team. The Razorback, which is characterized by a ridged back and tenacious wild fighting ability, had long been associated with the backwoods of Arkansas. The students loved the comparison, and the nickname became increasingly popular. In 1910, the student body voted to change the official university mascot from the Cardinal to the Razorback. Live hogs were occasionally brought to football games as early as the 1920s, but providing a permanent live mascot dates back to the 1960s and a number of hogs have represented Arkansas since then. Tusk, a 380-pound Russian boar that closely resembles a wild razorback hog, is the current official live mascot. He resides on a local farm and leaves his home to attend all Arkansas home football games, and other select events. Additionally, the University of Arkansas has a family of uniformed mascots. "Big Red", (also known as the "Fighting Razorback"), is the traditional mascot for the university and attends all athletic events. "Sue E" is the female hog and "Pork Chop" is the kid mascot. "Boss Hog" is a nine-foot inflatable mascot that joined the mascot family during the 1998–99 football season. The Razorback Marching Band in formation at Razorback Stadium. The Razorback Marching Band, one of the oldest collegiate bands in the United States, was formed in 1874 as the Cadet Corps Band as part of the military art department. The band participated in all the formalities of the Military Art Department, as well as playing for football games, pageants, and commencement exercises. In 1947, following a steady post World War II growth, the Cadet Corp Band was divided into the three current bands, a football band, a concert band, and an R.O.T.C. band. In 1956, the band adopted the name "Marching Razorbacks." In 2006, the 340-member Razorback marching band was awarded the highest honor bestowed upon a collegiate marching band, the Sudler Trophy. Most recently, the Razorback Marching Band performed at the 2011 Allstate Sugar Bowl and the 2012 AT&T Cotton Bowl Classic. The University of Arkansas Schola Cantorum was created in 1957 by founding director Richard Brothers. Since then, Schola Cantorum has proudly represented the University of Arkansas across the country and on various international concert tours. In 1962, Schola Cantorum was the first choir to win The Guido d'Arezzo Award—at the prestigious International Polyphonic Competition in Arezzo, Italy. In honor of its achievement, Schola Cantorum soon after appeared on NBC TV's "Today Show" and performed for U.S. President John F. Kennedy in the White House Rose Garden. At every graduation ceremony, Schola Cantorum sings the National Anthem, the alma mater, and an invocation. Currently under the direction of Dr. Stephen Caldwell, the choir continues to attract the best singers in the country and performs varied repertoire during several concerts throughout the year. There are over 350 registered student organizations on campus including special interest, religious, international and cultural organizations, honorary and professional service groups, and more. The most recognized student organization on campus is the Associated Student Government, sometimes simply called "ASG." The student government is active in managing student fees, meeting with key university administrators and is actively involved in many important decisions made on the University of Arkansas Campus. Perhaps the most significant program on campus, ASG, along with University Parking & Razorback Transit, and with the support of the DRJ-III Memorial Foundation, manage the Safe Ride program which gives students a safe ride home from any unsafe or uncomfortable situation. Arkansas is home of The Razorback, a national award-winning student yearbook, UATV, a student-run television station, and The Arkansas Traveler, a national-award-winning student newspaper established in 1906. The university is also home to two radio stations: KUAF, a public radio station and NPR affiliate, and KXUA, an eclectic student-run station. The University of Arkansas Press is known for publishing works on local and Southern history, as well as its strong poetry series, including books of poetry by former President Jimmy Carter and the former national poet laureate Billy Collins. Two of the most visible student-run organizations on campus are the Distinguished Lectures Committee and Headliners Concert Series. Notable speakers and bands to visit the University of Arkansas as a result of these organizations include lectures by Ehud Barak, Benazir Bhutto,Dave Barry, Benazir Bhutto, George H. W. Bush, James Carville, Anderson Cooper, Geraldine Ferraro, Al Franken, Malcolm Gladwell, Magic Johnson, James Earl Jones, Martin Luther King III, T. Boone Pickens, Mary Matalin, Ehud Olmert, Apolo Ohno, Robert Redford, Salman Rushdie, Ben Stein, Joseph Taylor, Tenzin Gyatso, 14th Dalai Lama., Nikki Giovanni, Aron Ralston, General Wesley Clark, Elie Wiesel, and Jane Goodall. Past concerts were headlined by Dierks Bentley, the Foo Fighters, John Mayer, O.A.R., The Roots, T.I., Third Eye Blind, and Snoop Dogg. The University of Arkansas Alumni Association, operates chapters in 30 states throughout the United States. Throughout Arkansas's history, faculty, alumni, and former students have played prominent roles in many different fields. Among its Distinguished Alumni is Ricardo Martinelli, president of the Republic of Panama who was elected in 2009. Seventeen Arkansas graduates have held the position of governor, including the current Governor of Arkansas Asa Hutchinson who has represented Arkansas since 2015. Twenty-six Arkansas graduates have also represented the state of Arkansas in the United States House of Representatives in every Congress from the start of the 57th Congress in 1901 to 2009. Six Arkansas graduates have also held at least one US Senate seat from Arkansas since 1945, and from 1979 to 2003 held both seats, including the late J. William Fulbright and current US Senator John Boozman. Arkansas alumni also stem from the music world. Singer songwriter Ben Rector graduated from The University of Arkansas in 2009. A notable single of his includes "Brand New", which was featured in the Nicholas Sparks film trailer, The Choice. Arkansas alumni have made contributions to the business world and academia. Alumni include Dallas Cowboys owner Jerry Jones. Other Arkansas business alumni include executives of major corporations like S. Robson Walton of Wal-Mart, Scott T. Ford of Alltel, and Ed Wilson of Fox Broadcasting Company & Tribune Broadcasting. Other Arkansas alumni have also held Chancellor and President positions at numerous universities including John Tyler Caldwell who served as the Chancellor of North Carolina State University, and Ray Thornton who served as President of Arkansas State University. Arkansas alumni have also made contributions to professional sports. Arkansas Razorbacks have moved on to play in the NFL, NBA, WNBA, and MLB. Current alumni standouts include MLB Cy Young Award winning pitcher Cliff Lee and four time NBA All Star Joe Johnson. Others former razorbacks include 10 Olympians who have won 14 Olympic medals including Mike Conley, Sr. who won Olympics medals at the 1984 and 1992 Olympics. Eight Pro Football Hall of Famers including Dan Hampton attended the University of Arkansas. ^ "University of Arkansas, Fayetteville Summary of Actual Revenues and Budgeted Revenues" (PDF). University of Arkansas 2013 Budget. University of Arkansas System. p. 4. Retrieved January 15, 2013. ^ "The Office of the Chancellor". Chancellor.uark.edu. Retrieved November 23, 2015. ^ a b "Quick Facts". University of Arkansas. ^ a b c "Fall 2017 – 11th Day Enrollment Report" (PDF). University of Arkansas. October 16, 2017. ^ "Official Colors". Style Guides and Logos–University Relations. University of Arkansas. September 27, 2015. Retrieved September 27, 2015. ^ "Campus Map & Visitor's Guide." University of Arkansas. Zoomable Map.. Retrieved April 7, 2010. ^ "Meat and Poultry Magazine College Rankings". Archived from the original on March 9, 2005. Retrieved November 1, 2004. ^ "Archive". newswire.uark.edu. Retrieved September 17, 2017. ^ "University of Arkansas – Daily Headlines". Archived from the original on December 31, 2005. Retrieved September 13, 2005. ^ "University of Arkansas Elevated to Highest Carnegie Classification Among U.S. Universities and Colleges". newswire.uark.edu. Retrieved September 17, 2017. ^ "Buildings | Facilities Management | University of Arkansas". fama.uark.edu. Retrieved November 5, 2017. ^ "Quick Facts | University of Arkansas". www.uark.edu. Retrieved November 5, 2017. ^ "Kappa Sigma Continues to Dominate - Kappa Sigma Fraternity". Kappa Sigma Fraternity. April 28, 2015. Retrieved December 3, 2017. ^ "Overview and Points of Pride." Profile. Archived June 8, 2011, at the Wayback Machine Retrieved on May 10, 2009. ^ "Athletics commits $1 million to academics." 05/04/2009. Article. Archived April 3, 2012, at the Wayback Machine Retrieved on May 10, 2009. ^ "College tuition still rising." 05/04/2009. Retrieved on May 10, 2009. ^ "UA board approves tuition hikes". April 16, 2010. Archived from the original on July 18, 2011. Retrieved May 20, 2010. ^ "University of Arkansas." Academics. Archived May 23, 2010, at the Wayback Machine Retrieved on May 20, 2010. ^ "Colleges"  Archived May 31, 2010, at the Wayback Machine Retrieved on May 20, 2010. ^ "University of Arkansas – Best College – Education – US News". Colleges.usnews.rankingsandreviews.com. August 17, 2010. Retrieved January 24, 2011. ^ "Test Prep: GMAT, GRE, LSAT, MCAT, SAT, ACT, and More". Princetonreview.com. Retrieved January 24, 2011. ^ "Best Value Colleges for 2010 and how they were chosen". USA Today. January 12, 2010. ^ College, Walton (August 24, 2009). "Sam M. Walton College of Business: Walton College Ranks 24th in U.S. News for Third Year". Sammwaltoncollegeofbusiness.blogspot.com. Retrieved January 24, 2011. ^ a b "News – Sam M. Walton College of Business". Waltoncollege.uark.edu. October 7, 2008. Archived from the original on January 16, 2009. Retrieved January 24, 2011. ^ "News – Sam M. Walton College of Business". Waltoncollege.uark.edu. January 19, 2010. Archived from the original on June 10, 2010. Retrieved January 24, 2011. ^ "News – Sam M. Walton College of Business". Waltoncollege.uark.edu. Archived from the original on June 9, 2010. Retrieved January 24, 2011. ^ "News – Sam M. Walton College of Business". Waltoncollege.uark.edu. April 15, 2010. Archived from the original on June 9, 2010. Retrieved January 24, 2011. ^ "School of Architecture Ranked 20th in Nation and Included in List of World-Class Schools | University of Arkansas Fay Jones School of Architecture". Architecture.uark.edu. Archived from the original on August 11, 2011. Retrieved January 24, 2011. ^ "University of Arkansas-Fayetteville – Best Law Schools – Graduate Schools – Education – US News". Grad-schools.usnews.rankingsandreviews.com. April 15, 2010. Retrieved January 24, 2011. ^ "Best Creative Writing programs – College Confidential". Talk.collegeconfidential.com. Retrieved January 24, 2011. ^ "News – Arkansas Newswire". newswire.uark.edu. May 18, 2005. Retrieved December 12, 2011. ^ Glen Bennett; Rob Yallop & Ralph S. Wilcox (August 14, 2011). "National Register of Historic Places Registration: University of Arkansas Campus Historic District" (PDF). National Park Service. Retrieved August 14, 2011. ^ "National Register of Historic Places Registration Form – University of Arkansas Campus Historic District" (PDF). National Register of Historic Places – National Park Service. p. Page 10. Retrieved August 14, 2011. ^ "Senior Walk | University of Arkansas". registrar.uark.edu. Retrieved November 6, 2017. ^ "The 25 Best High School Athletic Programs". Sports Illustrated. August 14, 2011. ^ "America's Best High Schools: The List". Newsweek. 2010. Archived from the original on August 17, 2011. Retrieved August 14, 2011. ^ "Visions & Goals". University of Arkansas. Retrieved March 8, 2014. ^ "University of Arkansas Climate Action Plan" (PDF). University of Arkansas Sustainability Council. September 2009. Archived from the original (PDF) on October 27, 2013. Retrieved March 8, 2014. ^ "District Energy Systems, Proposed Energy Savings Project". University of Arkansas. ^ NCAA Championships listing Archived April 19, 2008, at the Wayback Machine NCAA. NCAA.org. Retrieved on 4-4-2010. ^ NCAA Division 1 Champions Archived June 11, 2011, at the Wayback Machine NCAA. NCAA.org. Retrieved on 5-9-2010. ^ "Arkansas to merge men's, women's athletic programs". ESPN. Associated Press. November 15, 2007. Retrieved November 20, 2007. ^ "NCAA Football Bowl Subdivision Records" (PDF). National Collegiate Athletic Association. 2009. pp. 62–63. Retrieved December 16, 2011. ^ a b Henry, Orville; Bailey, Jim (1996). The Razorbacks: A Story of Arkansas Football. Fayetteville, Arkansas: University of Arkansas Press. ISBN 978-1-55728-430-3. ^ Harris, Jim (August 21, 2008). "Razorbacks Far From Deserting War Memorial Stadium". Arkansas Sports 360. Archived from the original on May 7, 2012. Retrieved December 16, 2011. ^ Dufresne, Chris (November 20, 2011). "In BCS standings, it's 1-2-3 for the SEC!". Los Angeles Times. Retrieved December 16, 2011. ^ Goodman, Jeff (March 24, 2011). "Sources: Arkansas hires Mike Anderson". Fox Sports. Retrieved January 19, 2012. ^ "The 50 Largest Arenas". Pearson Education. February 1, 2009. Retrieved January 19, 2012. ^ "Arkansas Basketball" (PDF). University of Arkansas Athletics. Archived from the original (PDF) on March 11, 2013. Retrieved January 19, 2012. ^ "A Look Back at the Southwest Conference". Texas State Historical Association. Retrieved January 19, 2012. ^ Staff (June 8, 2009). "Van Horn Headed Back to Omaha". Nebraska State Paper. Archived from the original on July 26, 2012. Retrieved January 19, 2012. ^ Rogers, Kendall (October 28, 2008). "Rivals 10: College Baseball's Best Stadiums". Rivals.com. Retrieved May 10, 2009. ^ "NCAA Men's Div 1 Indoor Championships". Retrieved December 31, 2013. ^ "NCAA Men's Div 1 Outdoor Championships". Retrieved December 31, 2013. ^ "NCAA Men's Div 1 Cross Country Championships". Retrieved December 31, 2013. ^ "Women's Track and Field Team Win Championship". Retrieved April 16, 2015. ^ "Senior Walk | University of Arkansas". Campusmaps.uark.edu. Archived from the original on August 13, 2011. Retrieved January 24, 2011. ^ a b Batra, Amit. "Arkansas Football: 5 Best Razorback Traditions Every Fan Should Experience". Bleacher Report. Retrieved February 20, 2019. ^ "TRADITIONS – University of Arkansas Athletics". Hogwired.com. Retrieved January 25, 2011. ^ "History | University of Arkansas". fulbright.uark.edu. Retrieved November 6, 2017. ^ John F. Kennedy, , The President's News Conference, August 29, 1962 – Online by Gerhard Peters and John T. Woolley, The American Presidency Project. ^ John F. Kennedy, , Remarks to University of Arkansas Schola Cantorum, September 4, 1962 – Online by John F. Kennedy Presidential Library and Museum. ^ a b c d e "Newswire" Former President George H.W. Bush to speak at University of Arkansas Retrieved on 5–10 2010. ^ a b c "Newswire" All's Fair: Carville and Matalin to Talk Love, War and Politics Retrieved on 5–10 2010. ^ "Newswire" Ferraro to Give Distinguished Lecture Retrieved on 5–10 2010. ^ a b c d "Newswire" Olympic Medalist, Best-Selling Author Next Distinguished Lecturers at University of Arkansas Retrieved on 5–10 2010. ^ "Newswire" "Magic" Johnson to speak Retrieved on 5–10 2010. ^ a b c "Newswire" Rushdie to Give Distinguished Lecture Retrieved on 5–10 2010. ^ "Newswire" Martin Luther King III to Speak at University of Arkansas Retrieved on 5–10 2010. ^ "Newswire" T. Boone Pickens to Bring Energy Independence Message to University of Arkansas Retrieved on 5–10 2010. 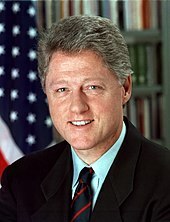 ^ "Newswire" Former Israeli Prime Minister to Speak at University of Arkansas Retrieved on 5–10 2010. ^ "Newswire" Nobel Physicist Joseph Taylor to Deliver 2009 Maurer Distinguished Lecture Retrieved on 5–10 2010. ^ Voorhies,, Steve. "Nikki Giovanni First Speaker in Fall Distinguished Lecture Series". Retrieved September 17, 2017. ^ Voorhies,, Steve. "Aron Ralston, Mountaineer, Extreme Survivor, to Speak at University". Retrieved September 17, 2017. ^ Voorhies,, Steve. "Gen. Wesley Clark to Speak as Part of Veteran's Day Celebration". Retrieved September 17, 2017. ^ Voorhies,, Steve. "Author, Holocaust Survivor, Peace Prize Winner Expected to Fill Walton Arts Center". Retrieved September 17, 2017. ^ "University of Arkansas". honorscollege.uark.edu. Archived from the original on June 23, 2015. Retrieved September 17, 2017. ^ a b c d e "Calendar" Dierks Bentley Concert Tickets Retrieved on 5–10 2010. ^ "Newswire" University of Arkansas Headliner Concerts Committee Brings Third Eye Blind to Barnhill Arena Retrieved on 5–10 2010. ^ "Newswire" Hip-Hop Legends, The Roots, to Play at UA Retrieved on 5–10 2010. ^ "Newswire" University Headliner Concerts Committee Brings O.A.R. to Barnhill Arena on Nov. 10 Retrieved on 5–10 2010. ^ "Chapter Network". Arkansas Alumni Association. Retrieved July 31, 2008. ^ Page, Eric. "Arkansas alum wins Panama election". Archived from the original on July 25, 2011. Retrieved August 13, 2008. ^ "Arkansas Governor Profile". Arkansas. Archived from the original on August 24, 2010. Retrieved August 13, 2008. ^ House of Representatives Archived January 19, 2012, at the Wayback Machine The Clerk of the HOR. house.gov. Retrieved on 4-7-2010. ^ House of Representatives Archived July 7, 2010, at the Wayback Machine Biography of John Boozman. house.gov. Retrieved on 4-7-2010. ^ US Congress Biography of Marion Berry. congress.gov. Retrieved on 4-7-2010. ^ Jr, R. W. APPLE (February 10, 1995). "J. William Fulbright, Senate Giant, Is Dead at 89". The New York Times. ISSN 0362-4331. Retrieved December 20, 2017. ^ Kim, Mallie Jane. "10 Things You Didn't Know About John Boozman". US News & World Report. Archived from the original on January 18, 2011. ^ Writer, JENNIFER CHANCELLOR World Scene. "Tulsa native Ben Rector shoots to stardom on his own steam". Tulsa World. Retrieved December 20, 2017. ^ "Ben Rector". Billboard. Retrieved December 20, 2017. ^ "12 Ben Rector Songs You Should Already Know - Beyond The Stage Magazine". www.beyondthestagemagazine.com. Retrieved December 20, 2017. ^ bio of Jerry Archived March 5, 2010, at the Wayback Machine Dallas Cowboys. dallascowboys.com. Retrieved on 4-7-2010. ^ Bio of S Walton Walmartstores.com. Retrieved on 4-7-2010. ^ Mars Family Forbes. Forbes.com. Retrieved on 4-7-2010. ^ Scott Ford Forbes.com. Retrieved on 4-7-2010. ^ Executives of Verizon Verizon. verizon.com. Retrieved on 4-7-2010. ^ Ed Wilson Tribune Company. Tribune.com. Retrieved on 4-7-2010. ^ Bio of Ray Thornton Congress. Congress.gov. Retrieved 4-7-2010. ^ Bio of Cliff Lee MLB. MLB.com. Retrieved 4-7-2010. ^ Bio of Joe Johnson NBA. NBA.com. Retrieved on 4-7-2010. ^ UST HOF US Track. usatf.org. Retrieved on 4-7-2010. ^ History of US Olympians US Track and Field. usatf.org. Retrieved on 4-7-2010. ^ Pro football hall of fame NFL. profootballhof.com. Retrieved on 4-7-2010. Wikimedia Commons has media related to University of Arkansas. Wikisource has the text of a 1921 Collier's Encyclopedia article about University of Arkansas. "Arkansas, University of" . New International Encyclopedia. 1905.